Hilston Park Outdoor Education Centre01600 750221work Outdoor Pursuits CentreHilston Park is the jewel in the crown of our outdoor education centres. Just six miles from Monmouth, the listed building dates back to the early 19th Century and was built for a local aristocratic family. It's within easy reach of the River Wye and the Black Mountains as well as the Forest of Dean and beyond. Generations of young people have enjoyed staying in Hilston Park's grand rooms which can accommodate groups of up to 50 people. Of course, the centre has been updated for use by groups from primary and secondary schools, youth and adult groups. WHAT ACTIVITIES CAN YOU DO AT HILSTON PARK? 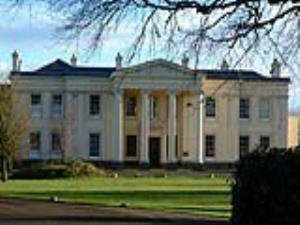 Hilston Park is the jewel in the crown of our outdoor education centres. Just six miles from Monmouth, the listed building dates back to the early 19th Century and was built for a local aristocratic family. It's within easy reach of the River Wye and the Black Mountains as well as the Forest of Dean and beyond. By car: Just 10 minutes North of Monmouth. Follow B4233 to Rockfield, then B 4247 to Newcastle. The centre is well sighposted just before the village of Crossways.